Today (21st March) marks the release of the debut album of music by composer Michael Bruce – a name familiar to many West End luvvies (and perhaps the only person to commercially re-arrange a Queen song to my satisfaction!!!). Michael Bruce is the most commercially promising new composer of the last four decades. On his debut album Michael Bruce: Unwritten Songs, he is joined by a plethora of talent that encapsulates the future of the West End. Michael Bruce: Unwritten Songs will feature Anna-Jane Casey,Avenue Q’s Julie Atherton and Paul Spicer, Wicked stars Mark Evans, Alexia Khadime, Ashleigh Gray and Sarah Earnshaw, award-winning West End favourite Daniel Boys, newly crowned Glinda in The Wizard of Oz Emily Tierney, Mamma Mia’s Alex Jessop, We Will Rock You’s Ross Hunter, Spring Awakening’s Charlotte Wakefield, ‘I’d Do Anything’ stars Sarah Lark (Oliver) and Jessie Buckley (A Little Night Music), and double Olivier Award nominee Michael Xavier (Love Story). Michael Bruce is currently composing the music for the Sonia Friedman produced David Tennant and Catherine Tate star vehicle Much Ado About Nothing at the Wyndham’s Theatre, having recently written the score for Josie Rourke’s acclaimed production of Men Should Weep at the National Theatre. 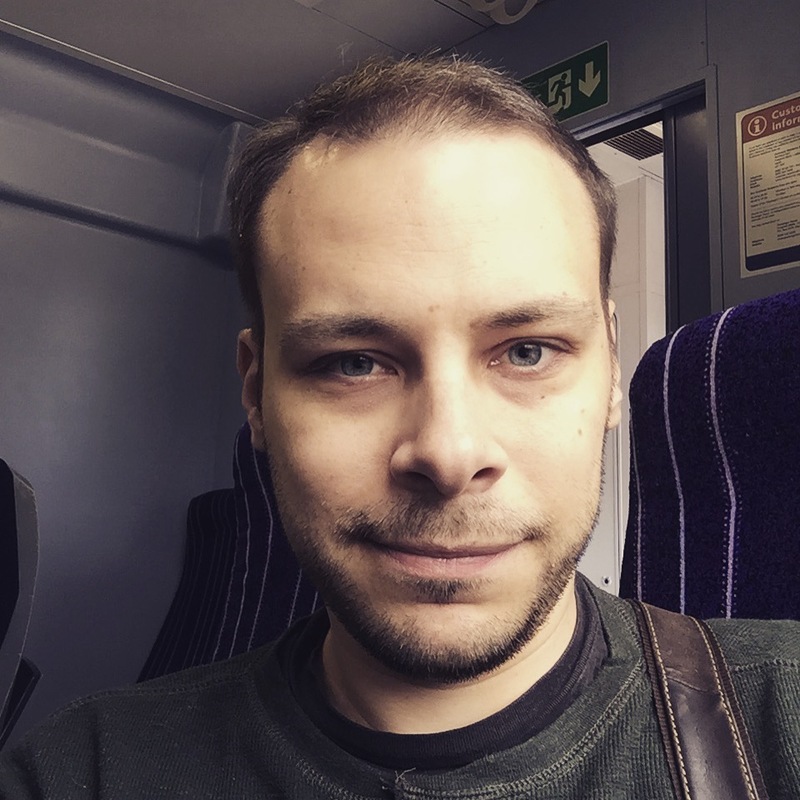 He is Resident Composer at London’s Bush Theatre and orchestrator of the current Confused.com TV ad campaign featuring the well-known songs Somebody to Love & Chain Reaction. 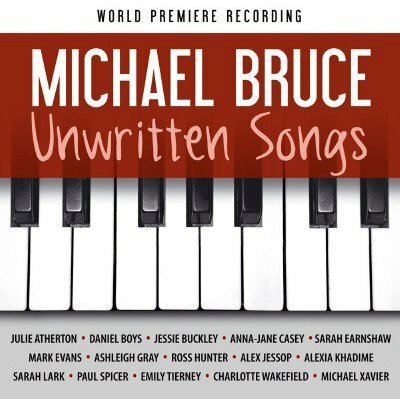 Michael Bruce: Unwritten Songs is produced by Neil Eckersley & Paul Spicer for Speckulation Entertainment, with musical direction and orchestrations by Michael Bruce. Gorgeous little love song, that starts off delicate and then surprisingly explodes into an amazingly sweet chorus – you’ll be humming this for weeks!! Ross Hunter’s voice adds a lot of optimism to the track and suits it perfectly! Lovely sweeping orchestral introduction, very classical sounding musical theatre song – think My Fair Lady, Kiss Me Kate and the like. Delightful! Great to hear Charlotte Wakefield’s voice on this track, I love how dreamy the song is, and it’s so easy to get swept away by it and wrapped up / enveloped in it’s soaring orchestral refrains! I was totally drawn in and clicking along from the absolute first bar of this song, and adding in / riffing with my own ‘mmmm-ummms’ into this song – amazingly good! Smooth song that will have you gliding around your bedroom, I guarantee! Song that INSTANTLY grabs your attention! hehe. Full of charm, wit, and has amazingly french/opera feel, and is completely JAM PACKED with character. Don’t even get me started on the high kicks that I was doing by the end hehe! Song that has a lot of atmosphere to it, very much like the piano, and guitar combination. Delicate song, great to hear the stripped down piano and Jessie’s voice – very emotive! From the opening piano scale, you just KNOW that this is going to be an amazing look back at the world that created it hehe! Very well done, and ‘unfortunately’ it sums us musical theatre enthusiasts up PERFECTLY hehe!!! 😛 Cooooommmmmpaaaaannnnnnaaaaaay!!! Another ‘classic’ musical theatre sounding song – a good pace to it, you’ll find yourself humming along and doing quirky head moments at the little flute fancies heh. Fabulous duet, and again I am loving the piano on this track. Daniel and Alexia’s voices mesh very nicely and I loved how this song built up through to the end. Total musical theatre song, and a really nice one at that! Nice way to finish the album off, with some great emotive vocals (especially when the song really gets going!!!). Absolutely wicked to see our West End stars getting an opportunity to showcase their off-stage song talents to a potentially wider audience than the usual (but fabulous) late-night cabaret bar audiences alongside Michael Bruce’s truly amazing compositions/orchestrations.